When I was in Indianapolis last week to address the annual meeting of the Autism Society of America, I had breakfast with one of the leaders in the field of Applied Behavior Analysis. As we were chatting about the benefits and the limits of ABA, he made a stunningly obvious (but seldom mentioned) observation: “Lovaas never promised that he could make kids with autism normal, only that he could make them ‘indistinguishable from normal’.” Let that sink in a bit. Nearly 100 years ago, when my late father-in-law went to medical school, diabetes was a rapidly fatal disease. The entry on diabetes in his textbook of internal medicine is only half a page long, describing the acute onset, rapidly downhill course, and universally fatal outcome. Then, in 1923, two Canadian researchers, Frederick Banting and Charles Best, discovered and pioneered the use of insulin. All at once, diabetes became a treatable condition. Treatment, however, was arduous. When I was a medical student (in the 1960’s and 70s), treating a patient with diabetes involved repeated injections with insulin. And there were myriad forms of insulin: reglar, lente, ultra-lente, each with a different duration of action. We were trying to replicate the secretory function of the human pancreas, with limited success. In 1963, Arnold Kadish created the first insulin pump – it was the size of a backpack. In 1973 the prolific inventor Dean Kamen designed the first commercially successful (and considerably smaller) pump. Today, the mechanical aspects of insulin delivery have been married to real-time monitoring of the patient’s blood sugar level via on-board sensors and a computer chip, enabling the pump to respond to the patient’s blood sugar levels in real time. We are coming closer and closer to replicating the behavior of the human pancreas, and to all outward appearances the patient appears normal. No backpack, no repeated needle sticks, no episodes of hypoglycemia or glycosuria with trips to the bathroom. But at the end of the day, the patient still has diabetes. 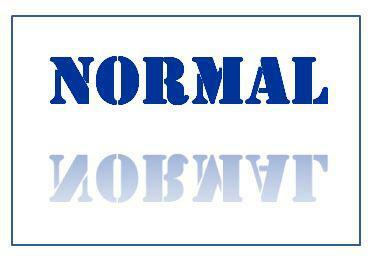 Getting back to ASD: What does it mean to be “indistinguishable from normal”? Is it a “good thing”? Should making children “indistinguishable from normal” be our treatment goal? What do adults with ASD have to say about it? (Lots, as it turns out! In fact, I find it challenging to give a presentation knowing that my audience contains so many different constituencies: parents of young children still hoping for cure, parents of adult children who know better, therapists of all kinds, and finally, adults on the spectrum, who are just fine being who they are, and take offence at the idea of being “cured”). The DSM, with its focus on outwardly visible symptoms, rather than the underlying neurobiology and neuropsychology of ASD, does little to help. School districts, with their own educational criteria, add another layer of confusion. Then there are all the different autism advocacy organizations, each with its own take on the subject. All of these ruminations were brought home to me in an email that I received from the mother of a child with ASD. In a way, her email echoed what the ABA expert had said over breakfast. The sender was seeking help for her son, whom she described as having high functioning autism (I cannot diagnose children on-line, so I am taking her at her word). The boy had been denied services by his School District, because he failed to meet their criteria for ASD – even though he still has all sorts of issues. “Why are so many professionals so quick to say no to autism just because the child makes eye contact and can speak?,” she asked. Why, indeed? Is being “indistinguishable from normal” a good thing for someone with ASD? Should making children with ASD “indistinguishable from normal” be our treatment goal?